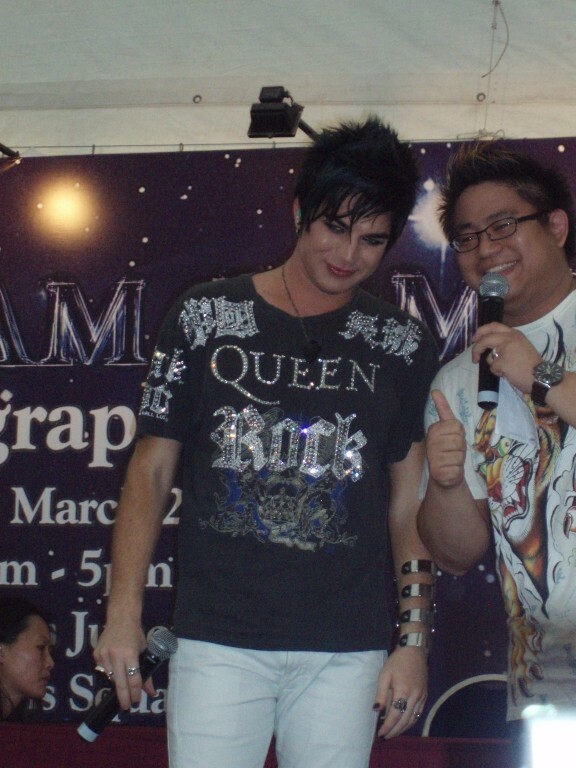 Seth McPartlin is a dedicated Singapore Glambert member! The seven friends that he was with that day included ME! 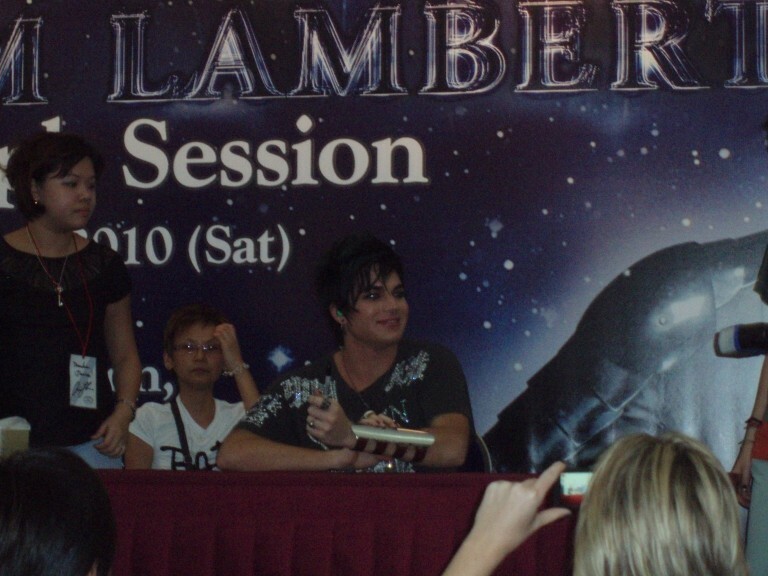 I've included MORE pictures from the Autograph Session that day! 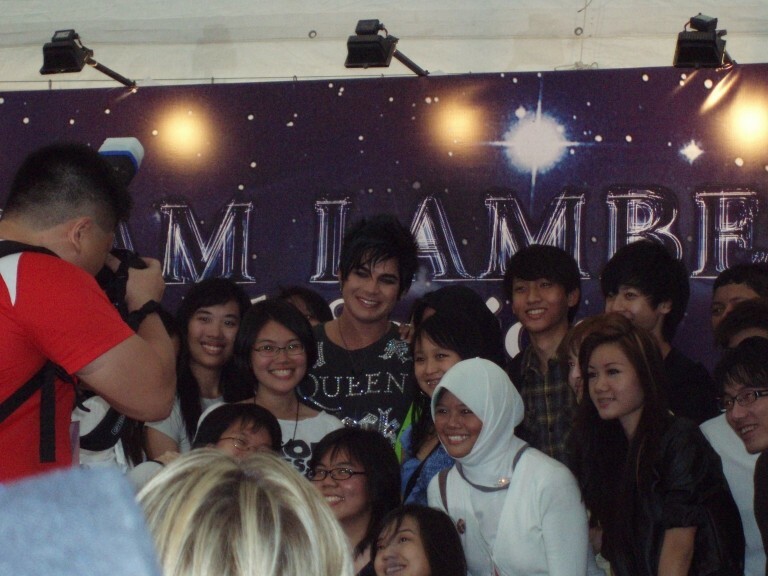 The Lucky Few that didn't have to queue for hours to meet Adam, hug him, get his autograph and take a group photo with him! Awesome! Thank you for sharing this. <3 Goodness he's so gorgeous. did anyone notice that he was wearing the same shirt that he wore when he celebrated his 28th birthday??? Whoa... didn't pick that out! Great eye for details! Ah....and he was wearing the QUEEN tshirt... he really is a big fan of QUEEN. and I am too!!!! love ya adam! Thank you to the ST Life! reporter who did an awesome write-up of last Saturday's write-up. And even more, for quoting part of what I've said. HAHA! attractive people from EVERYWHERE! OMG, any way he can read this awesome article about him? I was interviewed by the Journalist too and I asked whether he can give photos they have taken of Adam but it seems so that, there is a lot of company policy and copyright issues.. 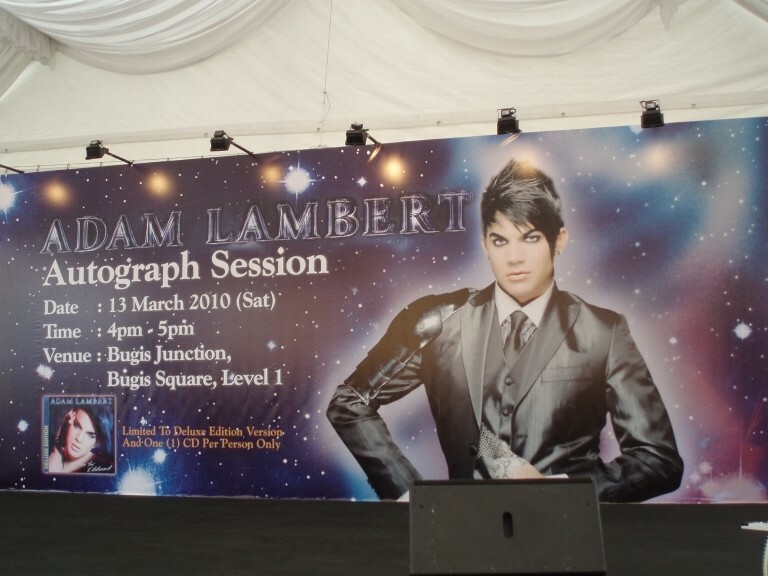 I seriously hope that Adam can come back to Singapore later this year for a concert so that all SG Glamberts can go!!!! I re-queue after that & i did managed to say hi to Adam and he said hi back and smiled at me, It made me happy all the way till now.. Hope he comes back!!!! OMG! DATS ME! IN THE WHITE SCARF!!! hahahahha..the meet and greet was AWESOME!! 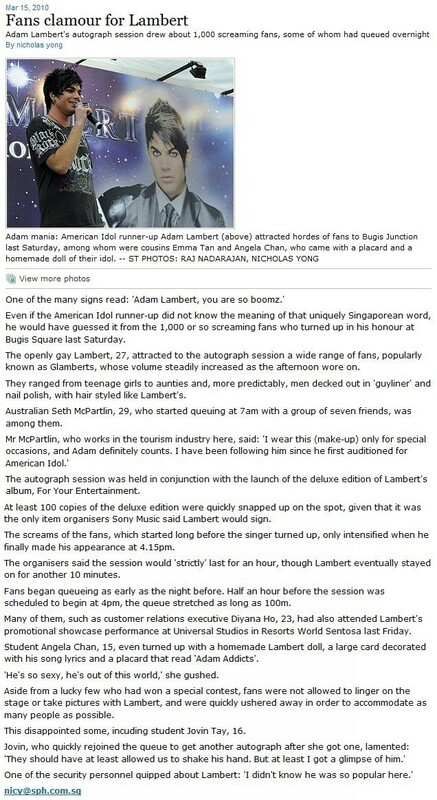 Its the best thing dat have happened to me I can't wait for Adam to have a full concert in SG!